Ray Celestin, author of The Axeman's Jazz, selects the soundtrack to his new novel Dead Man's Blues, a gangland murder mystery set in 1920s Chicago, the capital of jazz, booze and corruption. 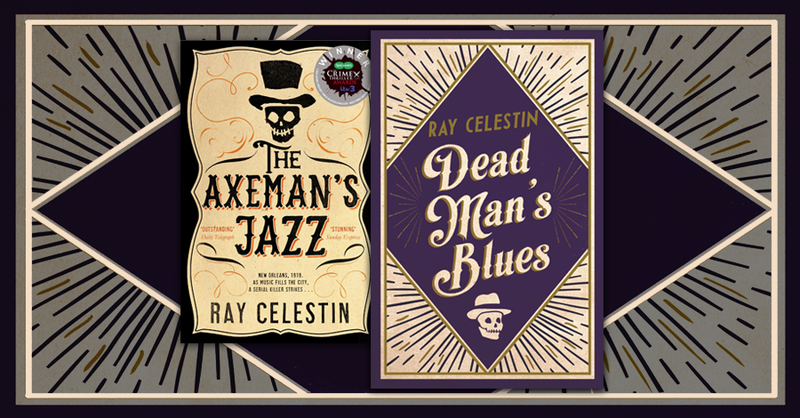 Ray Celestin, author of The Axeman's Jazz, has put together this soundtrack of jazz and blues legends to accompany his new novel Dead Man's Blues, a gangland murder mystery set in 1920s Chicago, the capital of jazz, booze and corruption. Ray Celestin's new historical crime novel Dead Man's Blues is out now. Chicago, 1928. In the stifling summer heat three disturbing events take place. A clique of city leaders is poisoned in a fancy hotel. A white gangster is found mutilated in an alleyway in the Blackbelt. And a famous heiress vanishes without a trace. Pinkerton detectives Michael Talbot and Ida Davis are hired to find the missing heiress by the girl's troubled mother. Jacob Russo, crime scene photographer, can't get the dead man's image out of his head and embarks on his own investigation. Dante Sanfelippo - rum-runner and fixer - is back in Chicago on the orders of Al Capone, who suspects there's a traitor in the ranks and wants Dante to investigate. As the three parties edge closer to the truth, their paths cross and their lives are threatened. But will any of them find the answers they need in the capital of jazz, booze and corruption? Love a good thriller? Sign up to The Thin Blue Spine newsletter to get the latest and best crime thriller recommendations straight to your inbox every month.